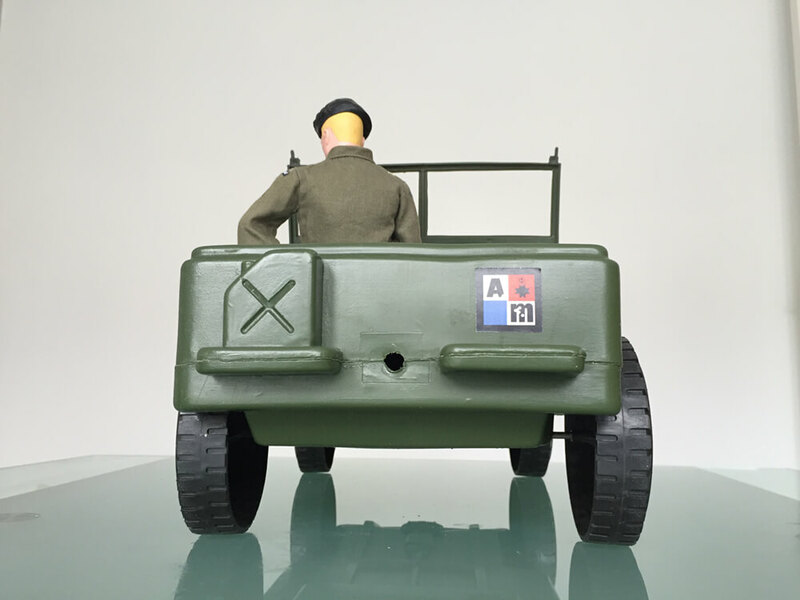 "Authentic Jeep with fold-flat windscreen". 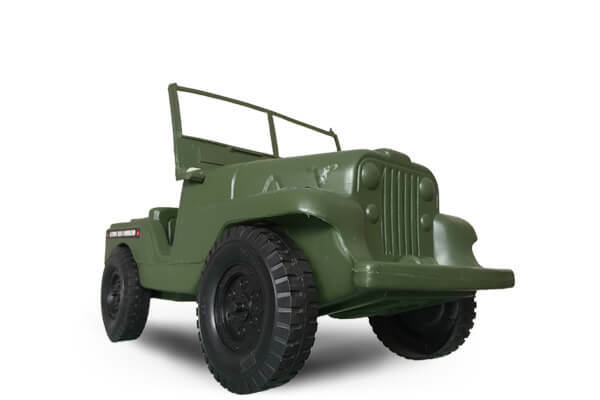 This left hand drive blow	molded	jeep	was an simple, but effective addition to the early range. 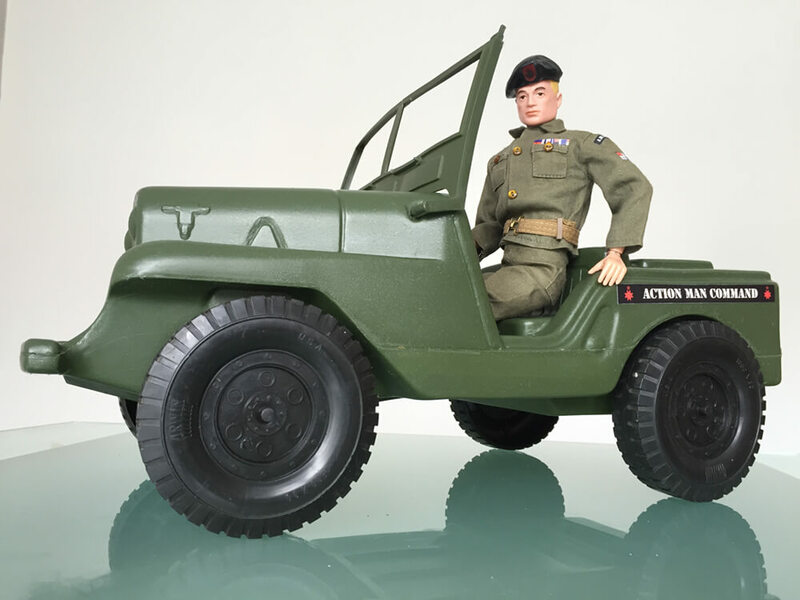 A similar looking all-new blow-molded Action Man jeep was also was produced in 1978, with subtle differences. 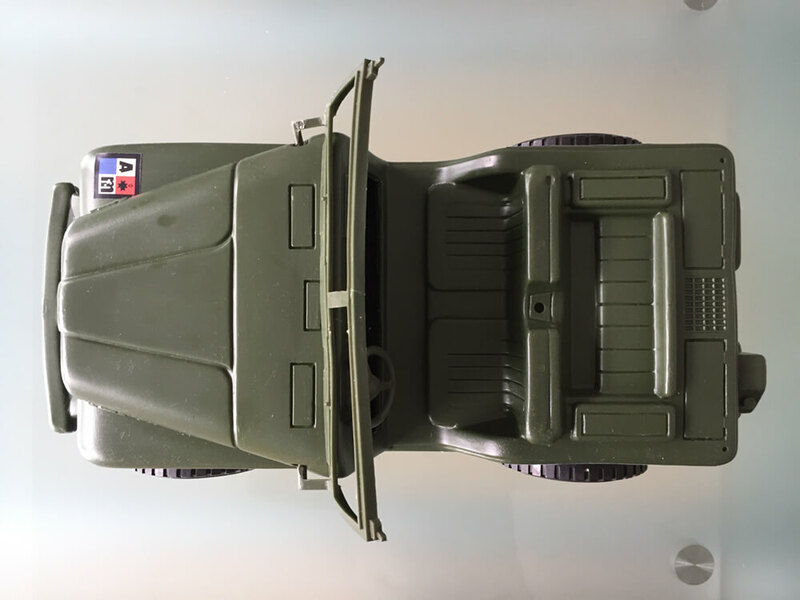 The two might get confused upon first glance. 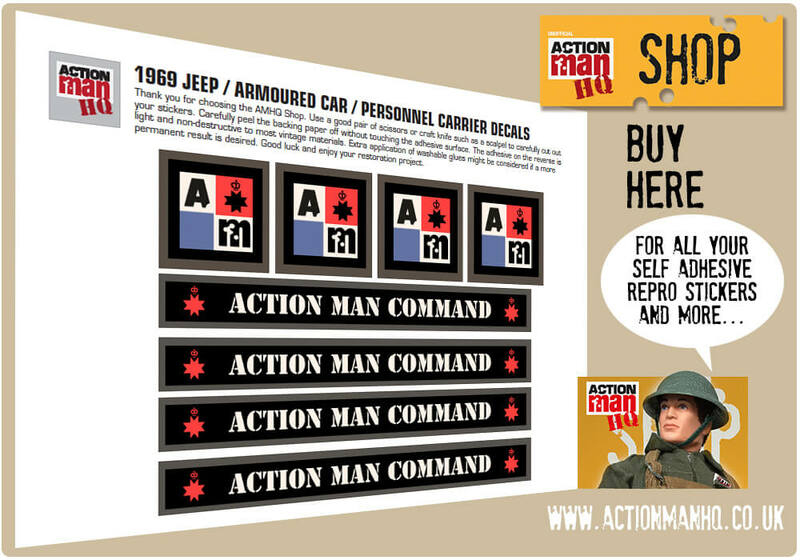 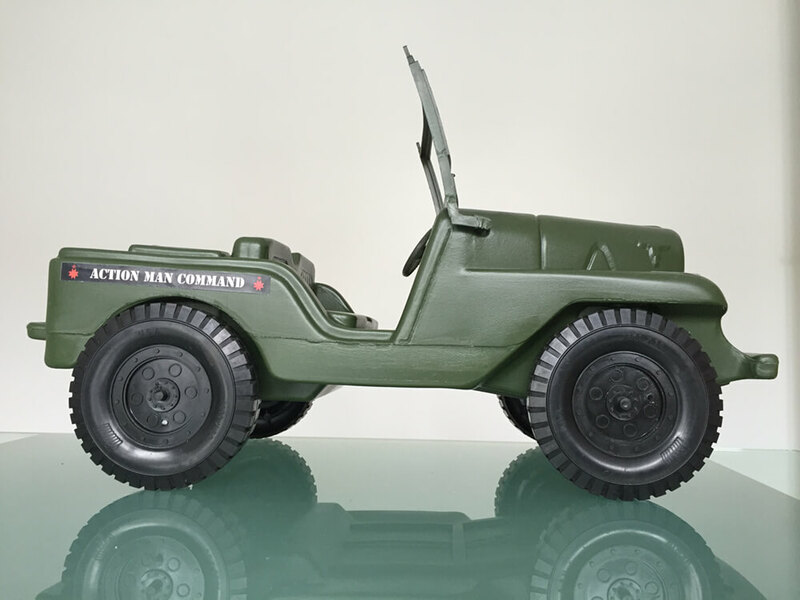 The blow molded Action Man Jeep first appears in the 1969 Equipment Manual. 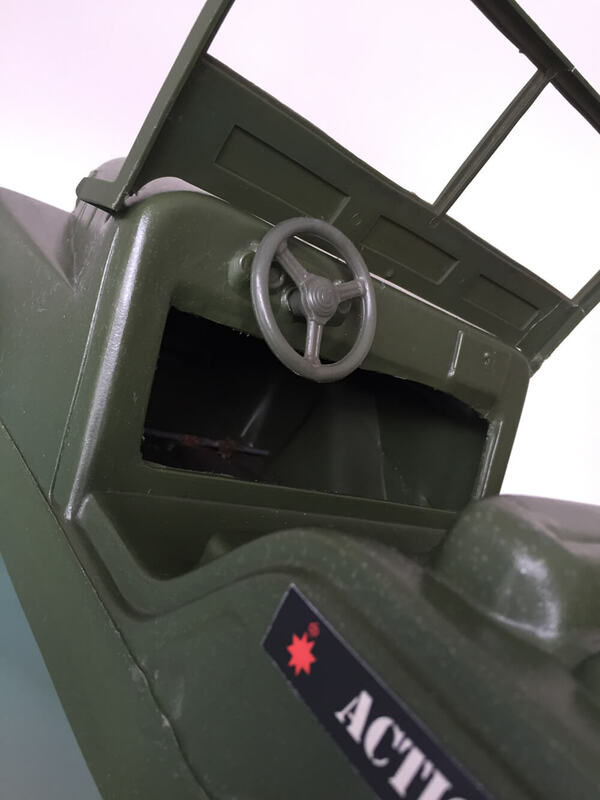 The fold flat windscreen is very fragile and the steering wheel is often missing. 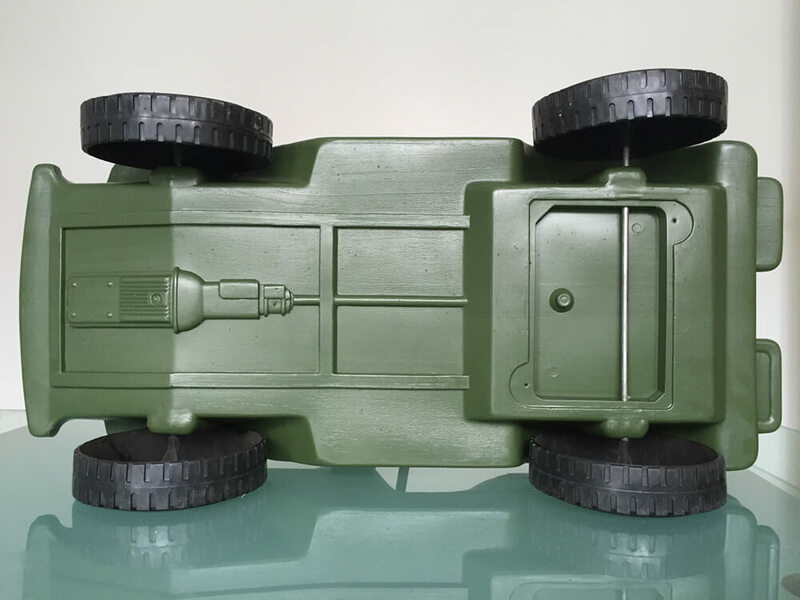 The model shown has wheels manufactured by Irwin. 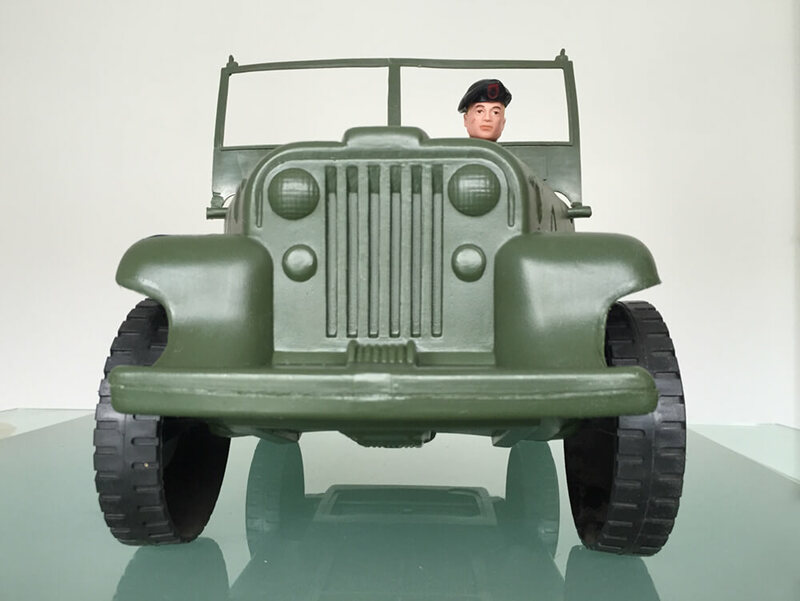 The Jeep was blow molded in the Coalville Pailtoy Factory.